पलाकोल्लू पश्चिम गोदावरी जिले, आंध्र प्रदेश, भारत में। शाम के दौरान गोदावरी पुल! ↑ "Andhra Pradesh Fact Sheet". mapsofindia.com. ↑ Austin Cynthia Talbot Assistant Professor of History and Asian Studies University of Texas (23 August 2001). Precolonial India in Practice : Society, Region, and Identity in Medieval Andhra: Society, Region, and Identity in Medieval Andhra. Oxford University Press. पपृ॰ 36–. आई॰ऍस॰बी॰ऍन॰ 978-0-19-803123-9. ↑ "Andhra Pradesh – end of an era". Business Standard. Hyderabad. 30 July 2013. अभिगमन तिथि 8 April 2016. ↑ अ आ "Administrative and Geographic profile" (PDF). msmehyd.ap.nic.in. मूल (PDF) से 11 September 2016 को पुरालेखित. अभिगमन तिथि 5 April 2017. ↑ "AP Government Portal – Official Andhra Pradesh State Govt. Portala Pradesh" (PDF). www.ap.gov.in. अभिगमन तिथि 5 April 2017. ↑ "'Art has to be nurtured to sustain'". The Hindu. अभिगमन तिथि 5 April 2017. ↑ "Districts of Coastal Andhra". mapsofindia. 19 April 2014. ↑ B.V.S. Bhaskar (16 February 2012). 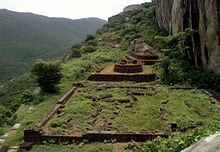 "Buddhist site found near Tuni". The Hindu. अभिगमन तिथि 29 July 2013. ↑ K.N. Murali Sankar (29 November 2011). "ASI gets tough with encroachers". The Hindu. अभिगमन तिथि 29 July 2013. ↑ P.Manoj (10 May 2013). "Dugarajapatnam in Andhra Pradesh to have new major port". Live Mint and The Wall Street Journal. अभिगमन तिथि 26 July 2014. ↑ Rama Mohan (13 July 2014). "AP to Set up Maritime Board to Develop Ports". ibtimes.co.in. International Business Times, India. अभिगमन तिथि 26 July 2014.